New Delhi, April 12: Veteran South African pacer Dale Steyn on Friday joined Royal Challengers Bangalore as a replacement for the injured Nathan Coulter-Nile, giving a much needed boost to the bowling department of the bottom-placed team in the IPL. Steyn will replace Australian Coulter-Nile, who is recovering from a back injury. 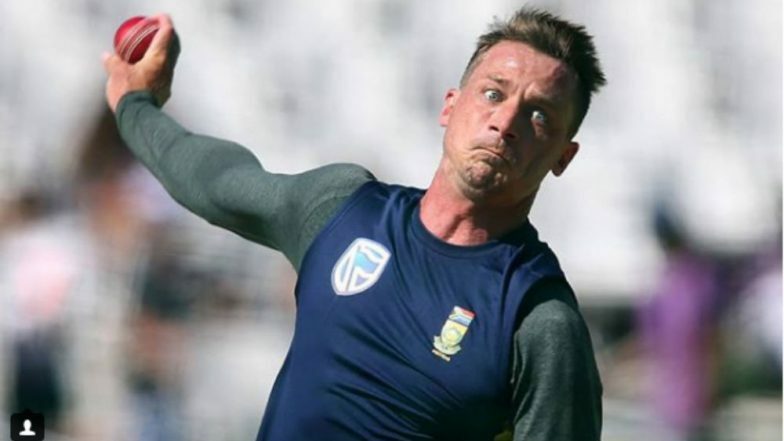 "Royal Challengers Bangalore have signed Dale Steyn as a replacement for the injured Nathan Coulter-Nile for the remainder of the VIVO Indian Premier League (IPL) 2019," read an IPL statement. Dale Steyn to Join RCB Squad? South African Fast Bowler Teases India Visa. Steyn went unsold in the previous two IPL auctions and last played in the competition in 2016 when he represented Gujarat Lions. He also also played for RCB between 2008 and 2010, taking 27 wickets. In total, Steyn has played in nine editions of the IPL. RCB, who are yet to win a game this season and have lost six in a row, will be hoping Steyn fires from the word go. The Virat Kohli-led side takes on Kings XI Punjab in Mohali on Saturday.